Down to the wire, we go! Just eight teams remain in this season’s FA Cup with Manchester City still setting their sights on the quadruple, while Ole Gunnar Solskjaer will look to win a trophy in his short stint at Manchester United. For the other six sides, there is still plenty to fight for, with the winner of the FA Cup marching straight into next year’s UEFA Europa League. High-flying Wolves entertain Manchester United in what is undoubtedly the tie of the round, although we cannot pass on the opportunity to find those winners in the other three matches. Watford play in front of their passionate home crowd for the first time in the FA Cup, having played all three previous encounters away from Vicarage Road, keeping clean sheets in all three ties. Like Watford, Crystal Palace also made it into the quarter-final stages without conceding a goal – so something has got to give this weekend. Palace’s biggest result in the tournament has been their emphatic 2-0 win over Tottenham, and away from home, they’ve been much better this season. The Eagles are on a three-game winning run away from Selhurst Park across all competitions in England and are tipped to go through in 90 minutes. Swansea have a massive task at hand when they host Manchester City in Wales this weekend. In fact, this will be their first time playing against top-flight opposition, having already beaten Aston Villa, Gillingham and Brentford to get to the quarter-finals, all by three-goal cushions, which, in a way, is very Man City-like. Pep Guardiola’s men are still chasing the quadruple and have shown that they will not take any tournament lightly, winning 7-0, 5-0 and 4-1 to get to this stage of the tournament. My money is on Man City to Win & Both Teams to Score at 29/20! Wolves and Manchester United end Saturday’s FA Cup action with a mouth-watering affair at the Molineux Stadium. Wolves have done it all in the FA Cup this season – they beat one of the tournament’s favourites in Liverpool, were held to a replay against minnows Shrewsbury and edged out Bristol City. Manchester United have arguably been the most impressive team in the tournament, though. After beating Reading, the Red Devils went to Arsenal and Chelsea and claimed comfortable victories. 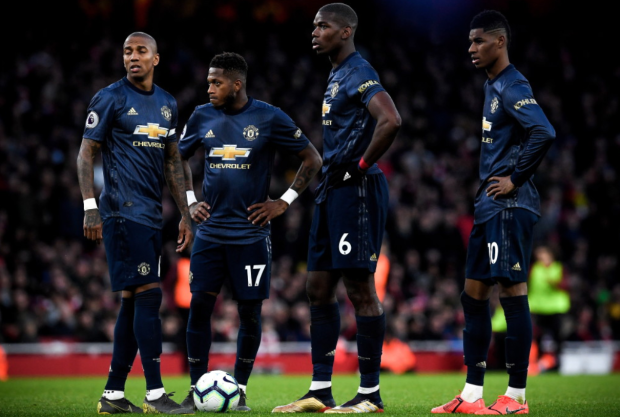 Under Ole Gunnar Solskjaer, United look rejuvenated and it seems that this could be their year after missing out in the final last season. This will certainly provide end-to-end action, but I’m taking full advantage of Hollywoodbets’ Price Boosts & Specials and getting on Romelu Lukaku to Score Anytime & Manchester United to Win at 24/10, you should too! Millwall come into the quarter-finals as the surprise package of the season, having already knocked out Everton and Hull City on their home ground. They are, however, in a relegation battle in the Championship and have suffered four defeats in a row, at the time of writing. Brighton have been entertaining to watch, winning 3-1 at Bournemouth, playing to a replay with West Brom and beating Derby 2-1. The Seagulls are also high in confidence after claiming back-to-back wins in the Premier League, most recently winning 2-1 at Crystal Palace. Back the away win here.